Home → Batteries → Vision Spinner Review – A Long Lasting & Versatile Ego Battery! Vision Spinner Review – A Long Lasting & Versatile Ego Battery! Ever heard of eGo cigarettes? For the sake of those who don’t know, these are e-cigarettes you create by attaching a customized battery to a tank or clearomizer to form a cylinder that is both the body and the battery. But who makes the Vision Spinner? Vision does, and it’s a top brand strongly associated with eGo batteries. Their batteries outshine many eGo batteries for a couple of reasons. Vision Spinner battery MAh ratings range between 650mAh and 1300mAh while the voltage maxes out at 4.8V from a minimum of 3.3 Volts. Being able to adjust the Vision Spinner's voltage means you can vary the density of vapor or switch between the voltages until you find a spot that seems to work best for you. The Vision Spinner also features a standard 510 threading, meaning it can hook up to 510-compatible clearomizers and tanks. It gives excellent airflow for a wide range of tanks. You can put your trust in this battery to deliver and it won’t fail you. But, trust me, you haven’t even seen the best of it yet. So let’s unpack it. Small and sleek, Vision Spinners comes in different colors to match your taste. It’s easy to use and to carry around. However, its power button can be a bit finicky —more on that later in our Vision Spinner review. Quality-wise, nothing was spared in ensuring that the unit is not only solid but strong enough to withstand hard falls and severe stress. Safety was also a priority when designing the Spinner, as Vision included a short circuit protection plus a lock feature. Just the same way the eGo-C Twist has the ‘twist’, the Vision Spinner also has the ‘Spinner’. So what is a spinner anyway? The spinner is a dial at one end of the battery with numbers showing you the voltage range. You can pick 3.3 or 4.8 or the two options in between them, 3.8 and 4.3. Also, between this figures are other minor adjustments units. mAh ratings are important because they show the battery’s energy storage capacity. If we were to imagine the battery as a tiny fuel storage container, the mAh would be the amount of fuel it’s able to hold. Vision Spinners are available at a minimum of 650mAh and a maximum of there’s 1300mAh, with several other mAh model variations in between. If you compare the 1300mAhVision Spinner to its closest competitor, the eGo-C Twist, you'll realize that the Spinner has an edge from a higher mAh rating. The extra mAh means it can last 30 minutes to nearly an hour longer than 1100mAh batteries. 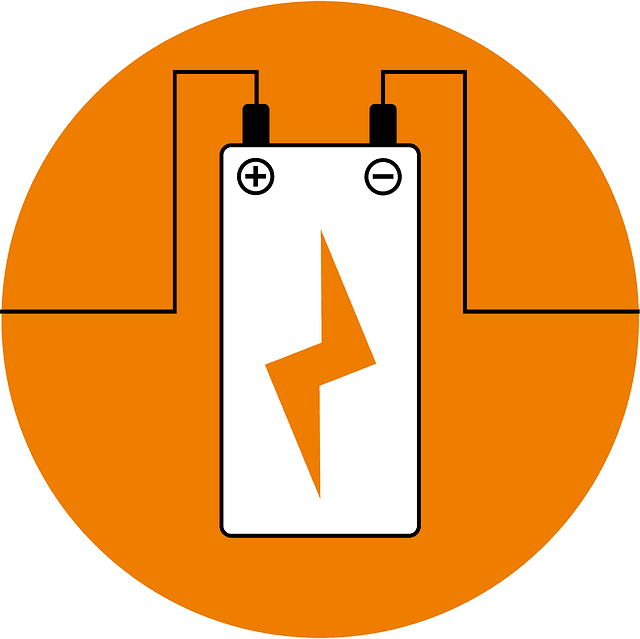 A battery without safety features poses a risk; not only that but also the battery is at risk of easily being damaged if a short circuit or related fault takes place. Well, the Vision Spinner, just like the best brands in its class, comes with short circuit protection. This system automatically turns off your battery the moment a short is detected and only turn it back on after the error has been corrected. Additionally, there’s the lock-out feature in which you press down the button five times in 1.5 seconds to either lock or unlock the battery. This helps to avoid accidentally or unknowingly turning on your unit. A 510 threading means it's compatible with any other 510 threaded mod. Expect this battery to be very compatible with all Joyetech eGo series cartomizers and atomizers, all 510 series cartomizers and atomizers, and other 510 threaded accessories. What’s more, you can go ahead to charge this battery using a Joyetech eGo USB Charger. Similar to eGo batteries, the Vision Spinner e-cig battery requires a degree of care and maintenance. A worn or damaged battery will deplete quickly and recharge more slowly. Vision included a battery indicator that monitors your battery and then acts when you reach a set minimum. Once your battery hits a minimum set level, it will turn off automatically. Make sure to watch out for the LED light. If it blinks a total of five times, that’s a sign that your battery needs to be charged. Ignore this sign at your own peril. At the base of the Vision Spinner, you'll find voltage readings that range between 3.3 and 4.8. Shifting between these voltages and those in between only requires you to turn the dial from one voltage level to the next. Turn until you find that spot that seems to you your ideal balance between vapor and flavor. No LED screens and buttons to press. This should be good news to those who are new to vaping. If you compare the Vision Spinner e-cig battery with its close rivals, mostly the eGo-C Twist battery, you will notice that it’s a little bit smaller in height. This is great because it makes it lighter to carry around in your pocket or purse. When it comes to the thickness, it’s a little bit large than other brands but that size is just enough to let you nicely hold it in your hand. Also, it does have a numbered dial that is pretty easy to read compared to its competitors. Since it maxes out at 1300mAh compared to the typical 1100mAh or 1000mAh associated with many eGo batteries, it definitely has an edge over them when it comes to battery life. At 1300mAh, the battery is able to last almost an hour longer than the other brands. At the same time, it also has a couple of options in between so whichever mAh rating you feel comfortable with, Vision has you covered. Should you use this battery with a liquidator tank, stand ready to enjoy the benefits of its excellent airflow. This ensures that the stream of vapor remains steady and on top of that, you get to enjoy some thick vapor. So for those who’ve in the past had challenges getting good vapor from their tanks, consider this unit as your next option. It won’t disappoint. 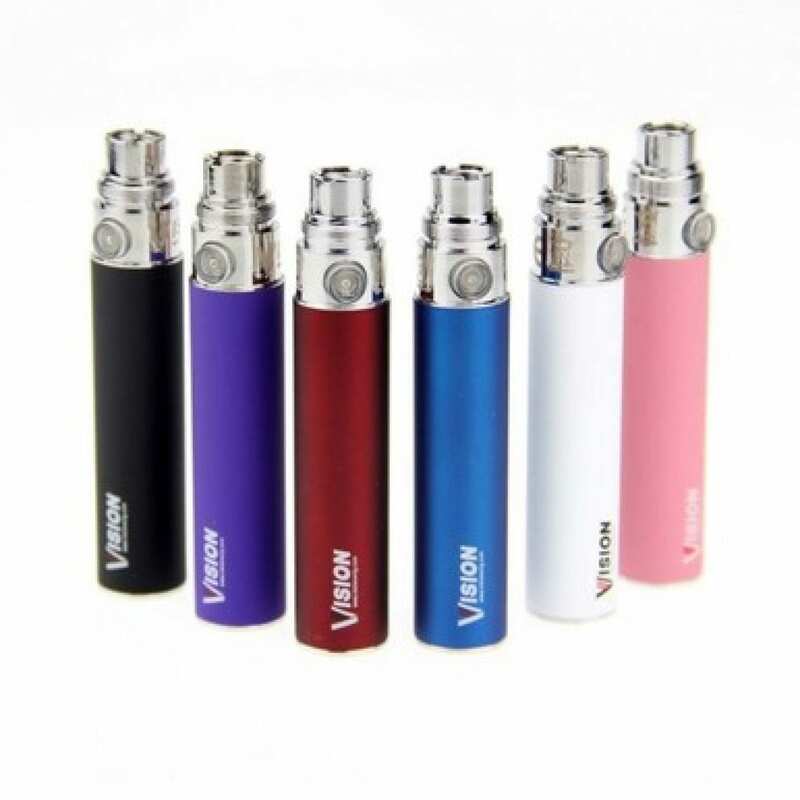 With a Vision Spinner Battery, even if you install your atomizer wrong, or connect the USB charger the wrong way, your battery will remain safe, thanks to Vision's built-in short circuit protection system. This protects against electric faults as well. There's also a lock feature is great if you find your battery getting drained all the time from accidentally pressing the button when you put your vape in your pocket. To activate and deactivate the lock, just press the power button five times within 1.5 seconds. At around $25, you're getting a quality, modern battery with advanced features that provides exceptional performance —definitely getting a bang for your buck. Some people prefer thicker vapor to thinner vapor. So if you are after thicker vapor, then you are likely not to like this battery due to its tendency to give vapor that is a little bit thinner. Close rivals like the eGo-C Twist give a thicker vapor. Compared to other batteries in its category, the buttons aren’t really on par with the best. Sometimes they will rattle as you use the unit and activating them can be quite a challenge sometimes. If you are among the many vapers out here not satisfied with the performance of your batteries, then the Vision Spinner might be exactly what you're looking for. Just as you’ve seen from our review, the Vision Spinner battery comes equipped with every important feature a modern battery should have. Protection is guaranteed, you get to enjoy longer battery life, the Vision Spinner itself is of high quality, it’s compatible with nearly all 510 threaded tanks atomizers and other accessories, and best of all, it’s affordable. So if you like the Vision Spinner so far, head over to Vision store to make your purchase. 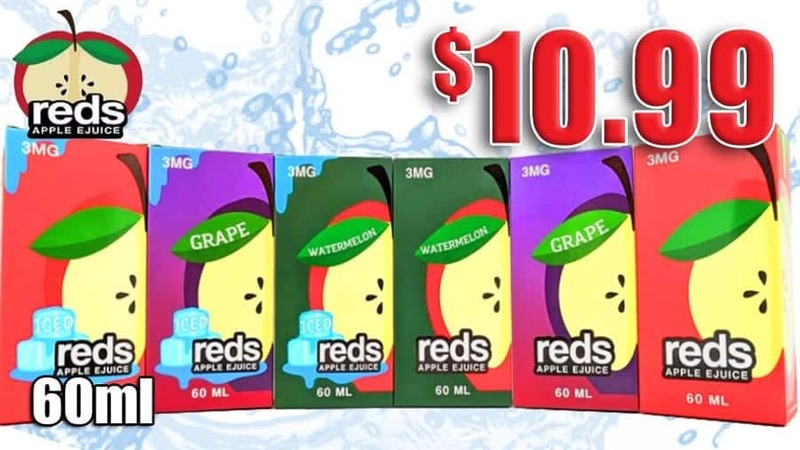 If you are looking for more options, then here's a list of recommend batteries by Vaping Cheap.